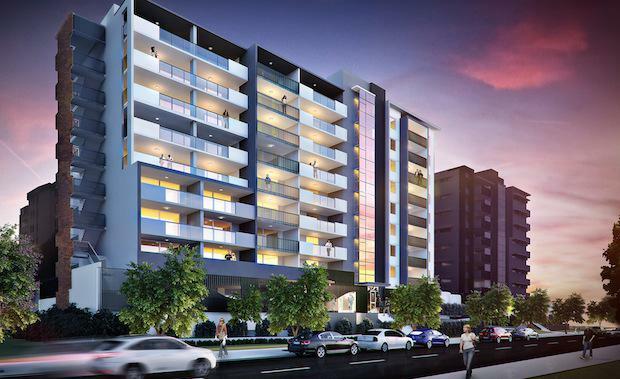 Brisbane-based developer Property Solutions is capitalising on the rising status of Chermside as ‘North Brisbane’s CBD’ by launching stage two of its $55 million Arbour on Charlotte apartment project. The developments next release, which is located within metres from Westfield Chermside, will comprise 74 one and two bedroom apartments spread across a 10-level tower. The development is yet to be released to the market but its initial stage saw its 69 apartments sell for $25.5 million. Property Solutions joint managing director Kevin Miller said Chermside’s status as a major employment, public transport and retail hub had seen it record steady and strong population growth in recennt years, particularly amongst Generation Y.
Mr Miller said the first stage of Arbour on Charlotte had proved popular with the investment market attracted by Chermside’s impressive economic fundamentals. “Chermside is experiencing rental growth and tightening vacancy rates amid a lag in development activity, which has put it firmly on the investor radar,” he said. “There is a high proportion of the Generation Y demographic, many of whom form the basis of the rental market. Data gathered by property analyst Urbis in its latest outlook for Chermside found that the 20 to 29-year-old age group makes up more than 23 per cent of the suburb’s population. Apartments in Stage 2 of Arbour on Charlotte will be an even split of one-bedroom one-bathroom and two-bedroom two bathroom configurations, with sizes ranging from 65 square metres to 128 square metres and priced from $316,500 to $522,100. All will incorporate environmentally sustainable initiatives such as strategic shading, individually metred gas hot water, energy-efficient lighting and efficient split-system air-conditioning. Arbour on Charlotte will have on-site management and two levels of secure basement parking. Property Solutions has been responsible for developments like Centro on James Street and The Barracks.